At last -- here's your chance to make serious money year after year despite wild market volatility. Ninety-nine percent of investors don't know whether to bail or jump ship when the waters get rough in a volatile market. So they panic and either get out of losing trades too late, or, conversely, abandon sound stock positions before these positions find their second wind in a fast-moving market. Uncle Bob's Money is definitely not the trading service for this kind of investor. Nor is it the trading service for those who love the thrill of market ups and downs, and who absolutely crave watching their money on a roller coaster spree. 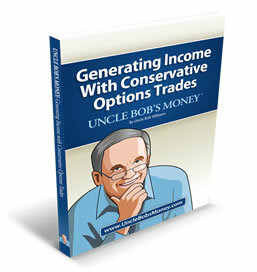 Come to Uncle Bob's Money instead for a carefully orchestrated portfolio, for statistically calculated trades and safe, pre-determined loss points. Now you can invest with complete peace of mind, and without all the guesswork and useless hindsight of a Monday morning quarterback. Give it up! Trying to guess the direction of the market is a fool's game. Stick with Uncle Bob's Money, and you'll learn to invest like a pro. Ever wonder why the pros make money whether markets go up or down? It's not that they have a crystal ball. They work with a system - a system that will make money in any market. Amateur investors, on the other hand, think that with enough study and sweat, they can predict the direction of the market. Maybe it's ego, maybe it's incurable optimism, but this kind of investor carries on a continual search for the illusive crystal ball. Better to abandon such a fantasy, and go with Uncle Bob's Money. You'll ignite your portfolio with our special method of non-directional trading. And now you'll make money whether the market goes up or down. In other words, you'll make money much like a professional investor. Your cantankerous grandfather was right. To the stranger you trust with your portfolio, your money will always be "other people's money." No matter how stellar the reputation of those wonderful people at the brokerage firm you've decided to let trade your account, it's not their money. It's almost never wise for you to cede control of your portfolio. Make no mistake. If you're simply too busy to sweat the small stuff, and you think what happens to your money is "small stuff," you may not be entirely happy with us. For when you make the decision to work with Uncle Bob's Money, you stay in control. We don't have access to your account. 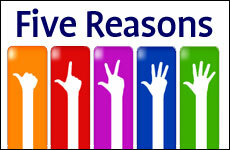 Instead, you decide how much money to allocate to an auto-trade process we provide for you. Or, if you like, you can manually follow the Uncle Bob's model portfolios. Then again, you can avail yourself of our amazingly effective Trade Finder and Trade Monitor tools. Any way you slice it, when you use Uncle Bob's Money, you're in charge. Throwing money at the market by simply relying on the fate of familiar big companies is no way to build a portfolio. It's this kind of trust in the herd and reliance on tired beliefs that has put investors in dire straits these past ten years. Need proof? Check out the figures during the years from May 1, 2000 to May 1, 2010, during which the S&P yielded a total return of -16.8%. That's an annual average loss of -1.4%. old fashioned economic truisms. Nor do we fall back on the old saw that if your portfolio encounters a slump in the S&P, the market it will "make it up" to you over time. Instead, we subject the movements of the indexes we trade to the continual test of statistical probabilities - the same kinds of risk analysis an insurance company uses to make an investment or even to evaluate a prospective policy holder. With so many stocks, ETFs and Mutual Funds to choose from, how do you zero in on the right ones? How is the individual investor supposed to work his way through the 6,500 + stocks on the New York and NASDAQ stock exchanges, 670 + ETFs (Exchange Traded Funds) and 8,000 + mutual funds? You might as well go outside at night, look up, count the stars and then pick a few. If you have a lot of time on your hands and don't want to let go of the thousands of dollars you think you can realize through hunches and tips, the precision and profitability of Uncle Bob's Money is not going to excite you. We take the anxiety and guesswork out of structuring your portfolio. We focus on a manageable number of key indexes, and trade options only with these indexes. Through specialization, we arrive at superior returns which the lay investor can't begin to realize with a dart-throwing approach to the market.